Kelowna city council passed a bylaw to regulate short term rentals in the Okanagan city after a public hearing on the matter Tuesday night that spilled over into the early morning hours. 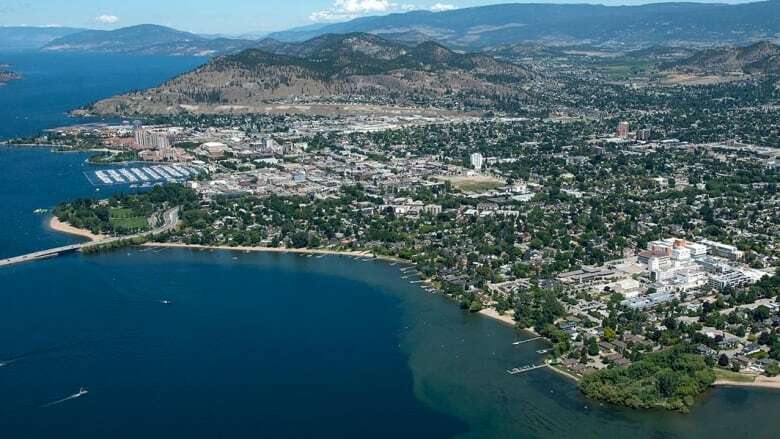 Kelowna city council passed a bylaw to regulate short term rentals in the Okanagan city after a public hearing Tuesday night that spilled over into the early morning hours. More than 60 people spoke to council; the vast majority of them homeowners who pleaded for council to allow AirBnB-style rentals in secondary suites and carriage homes — something city staff recommended be banned in most neighbourhoods under the city's short term rental regulations. "My husband and I are seniors and this is part of our income that rely on," said Rene Thompkins who explained they rent out a two bedroom suite to university students during the school year and then to tourists on AirBnB during the summer months. "We are wanting to do something right and I'm hoping that you will consider [allowing short term rentals in secondary suites.]" Other homeowners spoke of preferring short term rentals to having long-term tenants because of problems they have had with tenants in the past. "I do reject the notion that the city can and cannot tell me who I can allow as guests on my property," said Kris Stewart. "I am really incensed about that." Not everyone was in favour of allowing AirBnB rentals in suites and carriage homes, however. Stan Martindale, who manages the Ramada Hotel in Kelowna, spoke in favour of the more restrictive regulations that staff had recommended. "There has been a lot of people saying they have to make ends meet. You know what, so do the businesses," he said. "There is a big difference between home-sharing and operating a home-based business and home-based businesses are regulated." Other speakers from the hotel industry spoke about the challenge of finding rental accommodations for their employees in the hospitality industry and warned that if council allows more AirBnB-style rentals, it will drive down the vacancy rate in Kelowna. After the lengthy public hearing, council voted in favour of passing the bylaw as recommended by staff, along with a secondary motion authorizing staff to look into an amendment allowing secondary suites and carriage homes to be rented short term on websites such as AirBnB. "I appreciate the comments made tonight by the suite owners and carriage home owners and I've moved, I've shifted, I'll admit," said Mayor Colin Basran. "They have put a compelling argument forward where I am open to discussing whether they should be allowed to have rentals in those units. The new regulations, which still need to pass a fourth reading, will require operators to purchase a business licence from the city ranging from $345 and $750 a year to operate a short term rental property. Operators will have to abide by the city's good neighbour bylaw and adhere to limitations and requirements on the number of guest and parking stalls. As it stands now, short term rentals will only be allowed in an operator's primary residence in the majority of the city. However, this could change once city council reviews the amendment concerning suites and carriage homes. Short term rentals will be allowed in investment properties, secondary suites and carriage homes in some areas of the city, including select condominiums, some homes near the hospital and the McKinley Landing neighbourhood. The city will create two new staff positions to manage short term rental applications and deal with bylaw complaints and enforcement. The regulations are expected to be finalized before the summer tourist season.